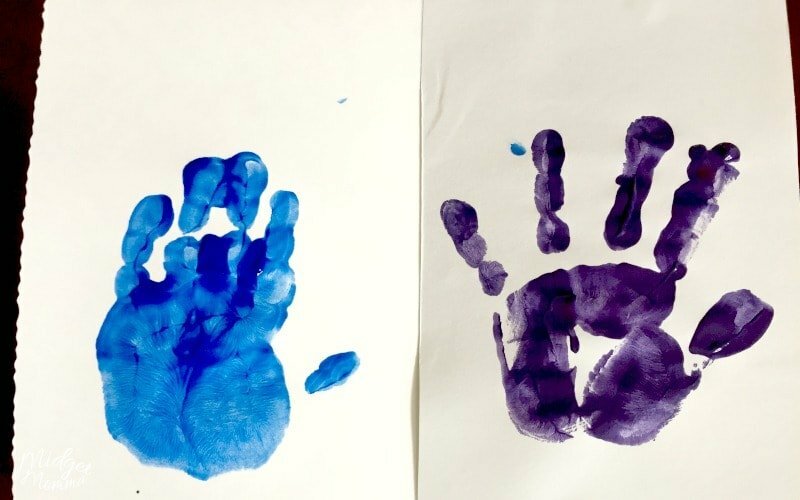 Mother’s Day is right around the corner and making handprint gifts is one of my favorite ways to celebrate holidays. 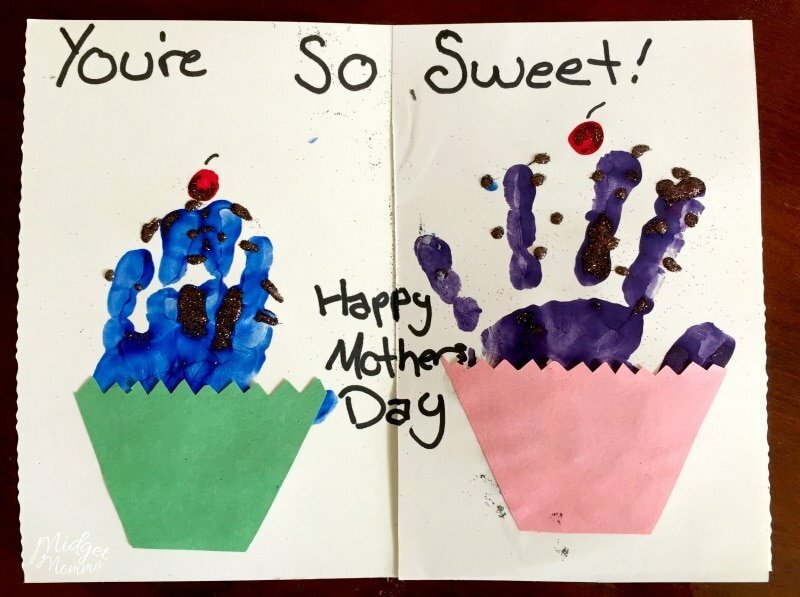 This handprint Mother’s Day card is so simple to make, it goes well with Mother’s Day DIY Flower Pots. You can get a full Mother’s Day gift made at home that Mom will love! 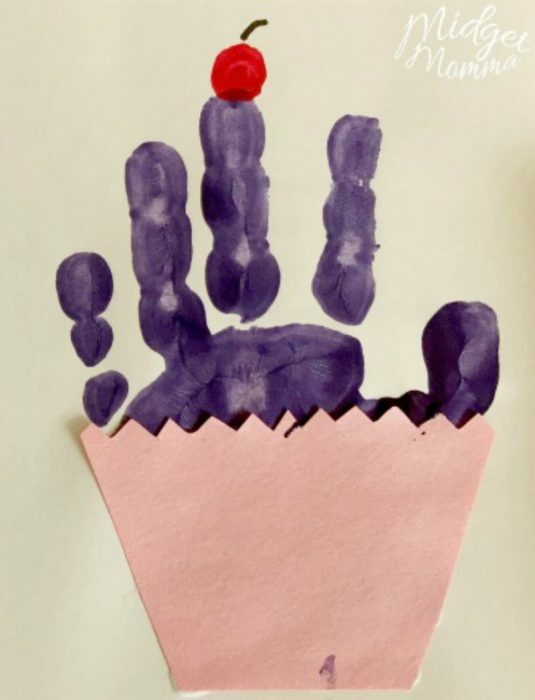 When making these Cupcake Handprint Mother’s Day card, I recommend using washable paint so if your child touches there clothes or you it will not stain. It will also be a big help in keeping the mess down to keep baby wipes next to you to wipe away the paint from the kids hands. 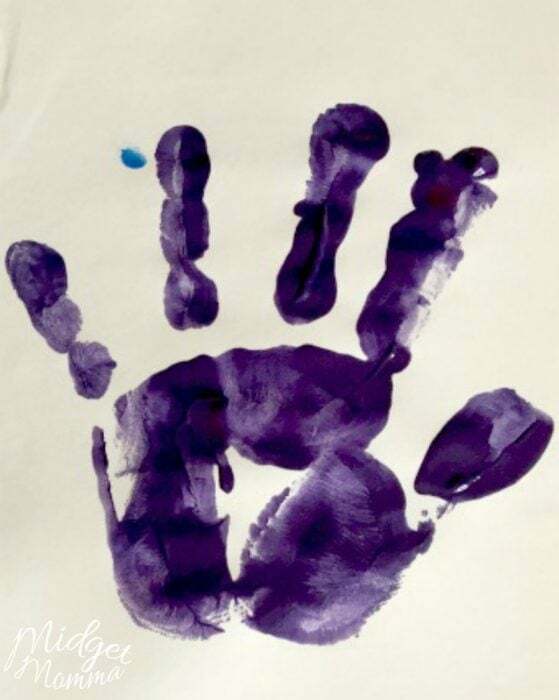 This handprint card is a great way to personalize those cards you can get on the cheap at the dollar store. I also spotted a 30 count pack of Mother’s Day cards on Amazon that would be perfect for this project, especially if you are making multiple Mother’s Day cards. If you can find cards that are blank on both sides inside the card, then you will have one less step to do when making this homemade Mother’s Day card. Otherwise you will need to cut a piece of white paper down to the size of the card and glue it on covering the writing. 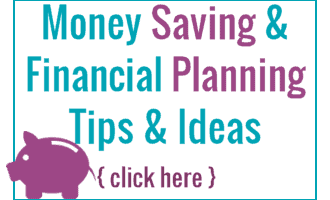 You are going to want to use solid cupcake wrappers for this, so make sure they are not the ones that are see thru. Personally I like to use these rainbow cupcake holders. Open your card and place something on the edge of the card to hold it open. 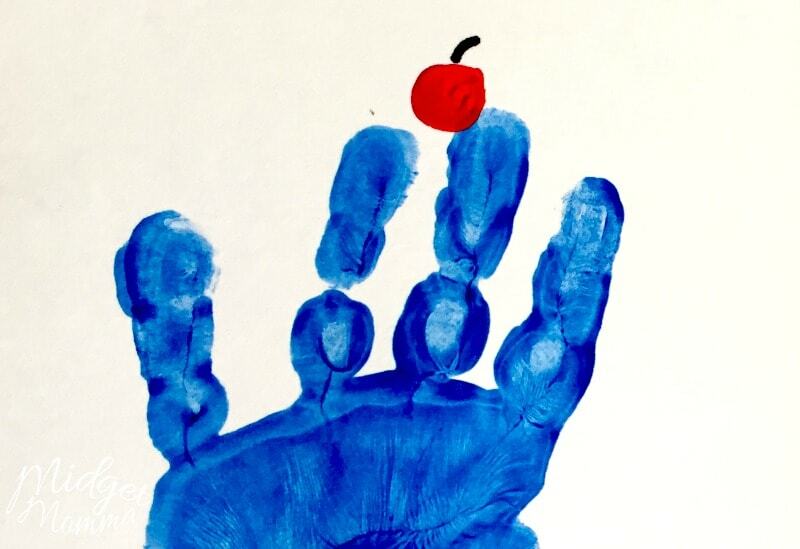 Paint your child’s hand and place it towards the bottom of the blank part of your card. Wash your child’s hand. 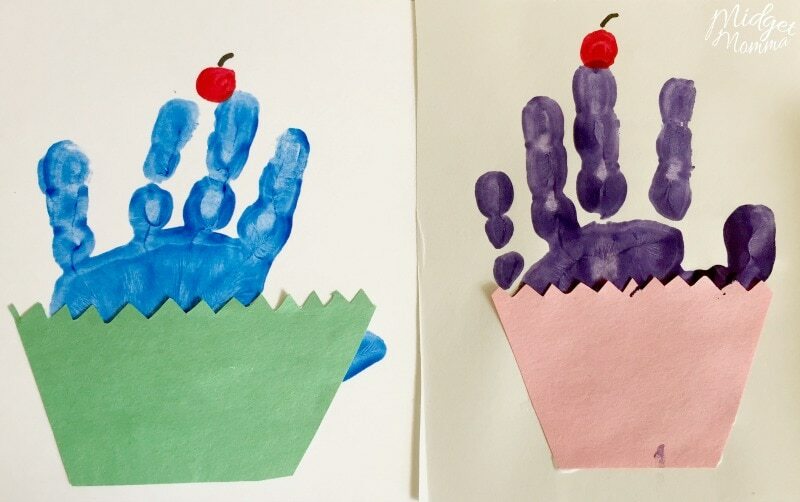 Cut your cupcake wrapper in half then glue it to the bottom half of the handprint. Paint your cherry on top of the fingers. Allow your child to add dots of glue to the fingers then sprinkle with the glitter. Write your favorite saying on the card. Leave open until the paint is dry. Looking for more Mother’s Day Ideas? Don’t miss these!